As a Church we have been supporting a charity called ROPE, who are linked with this home in Nepal, over a number of years we have been blessed to be able to support this home too. More recently we have been able to fund raise to enable the building to be painted. ​There were twelve people who were able to visit the home during the half term in Oct 2017. In Sept 2018, 14 of us went back to the home in Nepal! What is the Dolpa Hope home? The Dolpa Hope home was set up to care for children from the Dolpa region of Nepal which is very remote. The children are either orphaned or from single-parent families, not able to care for them. ​Check out the link to ROPE's website and more information on The Dolpa Hope Home. Why did the team go? We are going to continue to build on relationships we have started. We hope in the future we may be able to visit again or some young people can visit us!! ​We are going because we feel God has guided us and it is right to go and help out at the home. ​We also want the thank the businesses who contributed - Asda Llansmalet, Tesco Llansamlet, Gem Autos, H Phillips, Taffy's Morriston, The Cod Box, Bergoni and Manchester United football club. ​Thanks to ROPE for all their liaison and help in organising the trip and to Ron and Ian and Susan who we met from King's Church High Wycombe. 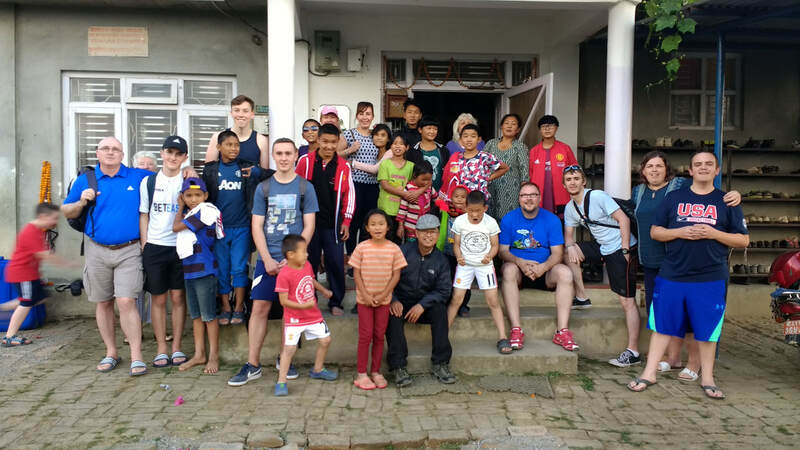 ​An also bigger thanks to Amos and Doma for letting us be a part of the children's lives for six days, we have been humbled and blessed by our time in Kathmandu and will continue to pray to our Lord and saviour regarding the future plans.